The War On Drugs announce their fourth full-length album, A Deeper Understanding, out August 25. This is the band’s first album since 2014’s universally acclaimedLost In The Dream, their debut album with Atlantic. 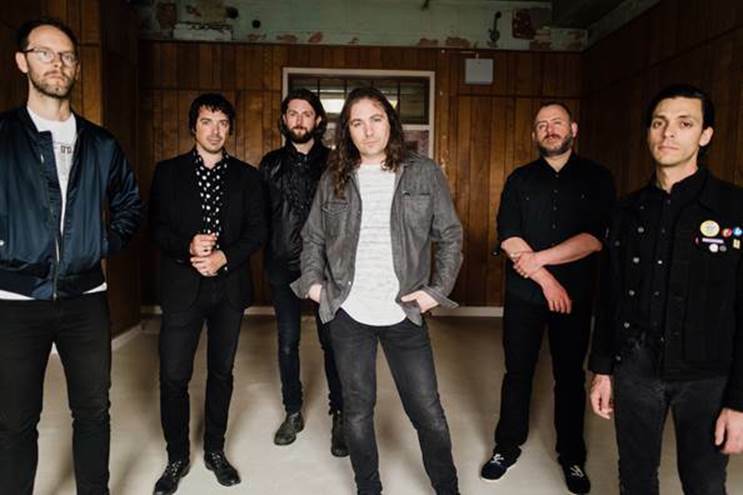 Following the Record Store Day release of the 11-minute track Thinking of a Place, The War On Drugs present the album’s lead single, Holding On. A Deeper Understanding is available to pre-order now. For much of the three and a half year period since the release of Lost In The Dream, The War On Drugs’ frontman, Adam Granduciel, led the charge for his Philadelphia-based sextet as he holed up in studios in New York and Los Angeles to write, record, edit, and tinker—but, above all, to busy himself in work. Teaming up with engineer Shawn Everett (Alabama Shakes, Weezer), Granduciel challenged the notion of what it means to create a fully realized piece of music in today’s modern landscape. Calling on his bandmates – bassist Dave Hartley, keyboarding Robbie Bennett, drummer Charlie Hall and multi-instrumentalists Anthony LaMarca and Jon Natchez — continuously throughout the process, the result is a “band record” in the noblest sense, featuring collaboration, coordination, and confidence at every turn. Through those years of relocation, the revisiting and re-examining of endless hours of recordings, unbridled exploration and exuberance, Granduciel’s gritty love of his craft succeeded in pushing the band to great heights.